Sally McKay Smith 84, of Whiteville died Thursday January 24, 2019 at Lower Cape Fear Hospice. She was born December 18, 1934 in Bladen County, the daughter of the late Dennis and Madonna Grantham McKay. Sally was a graduate of Elizabethtown High School and East Carolina College. She retired from teaching after 31 years from Chadbourn Primary School. A member of First Presbyterian Church, she served as a Sunday School Teacher, Deacon and Elder. 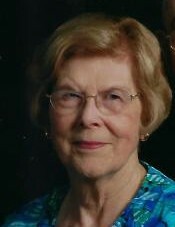 Mrs. Smith was a member of NEA, NCEA, past President of Gamma Zeta-Alpha Delta Kappa International Teachers Sorority, past President of Whiteville Women's Civic League and member of Whiteville Garden Club. She is survived by her husband, Donald Hugh Smith; son, Mark McHugh Smith and wife, Kim of Whiteville; granddaughter, Leigh S. Edwards and husband, Chris. She was preceded in death by her parents and a brother, Andrew McKay. A graveside funeral service will be at 2:00 pm Monday, January 28, 2019 at Whiteville Memorial Cemetery with Pastor Joe Washburn officiating. Her family will receive friends 5:00 - 7:00 pm Sunday, January 27, 2019 at First Presbyterian Church in the church parlor. Memorials may be made to First Presbyterian Church, 511 N. Thompson St., Whiteville, NC 28472 and Lower Cape Fear Hospice, 206 Warrior Trail, Whiteville, NC 28472.